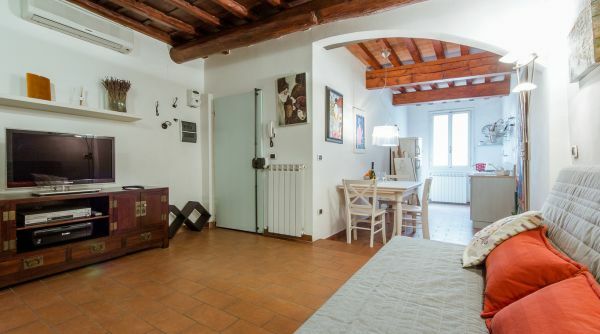 A uniquely decorated apartment where to feel the authentic Florentine spirit, staying only a few steps away from Ponte Vecchio and Palazzo Pitti. 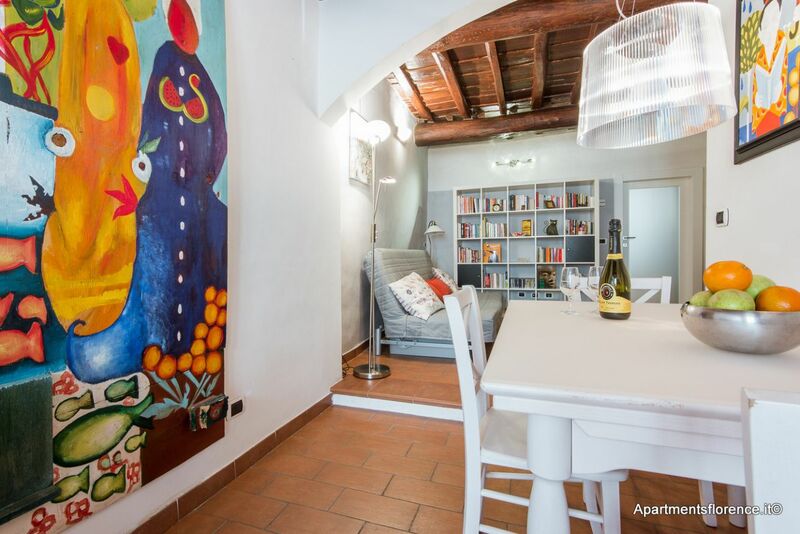 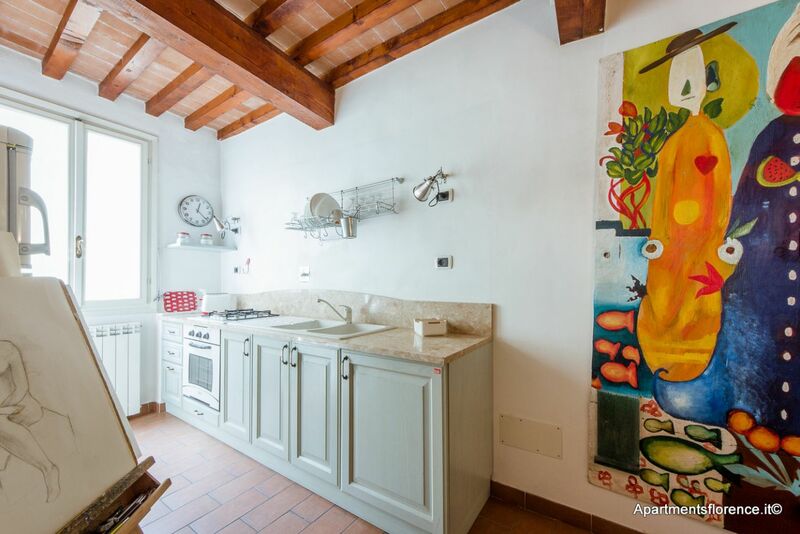 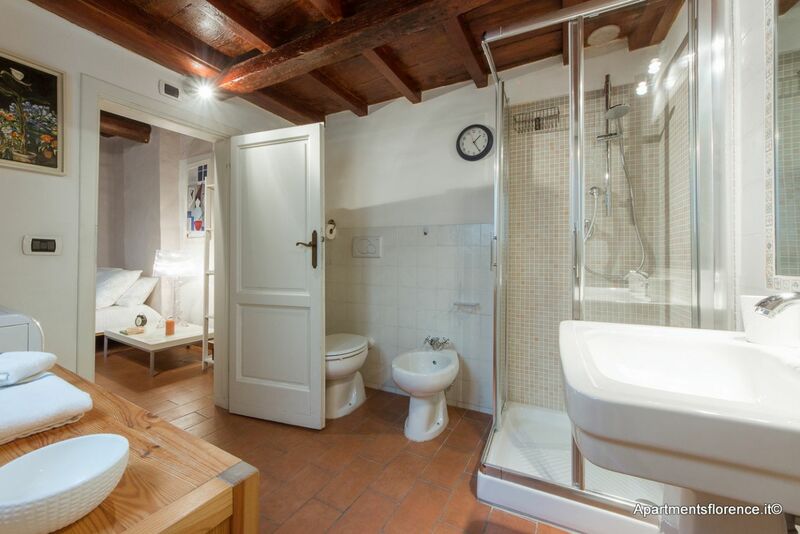 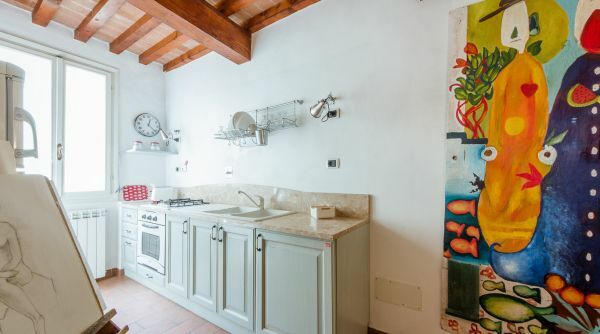 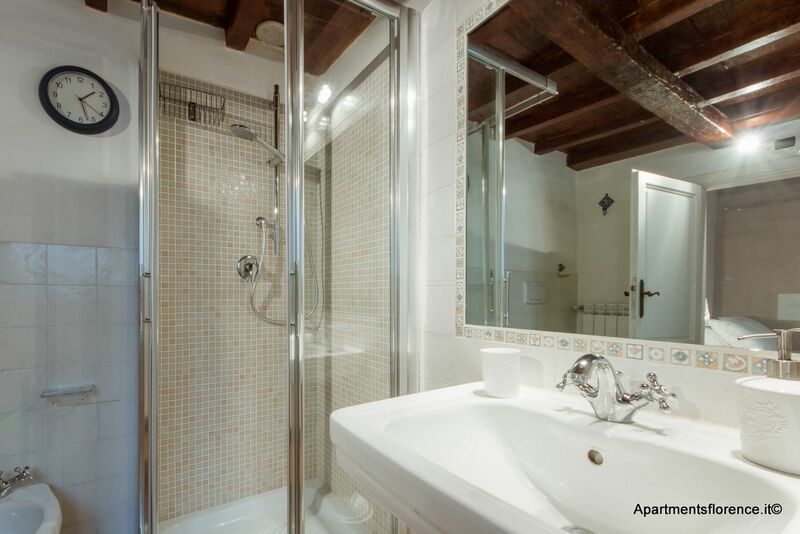 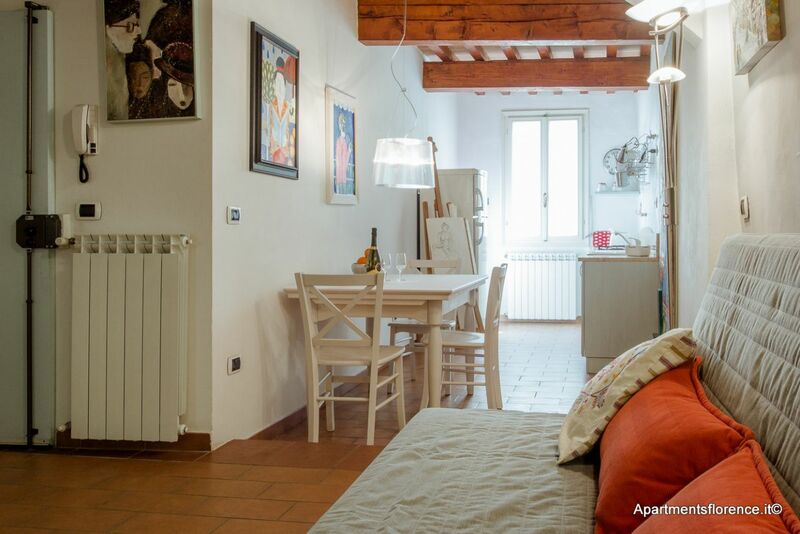 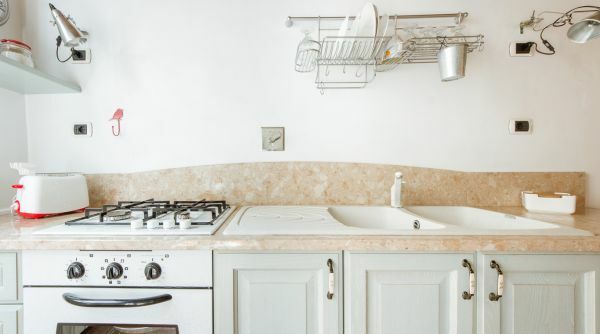 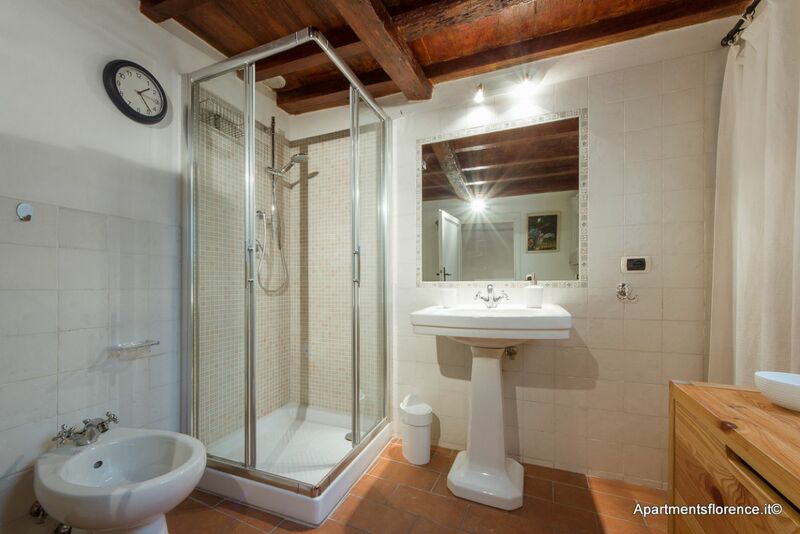 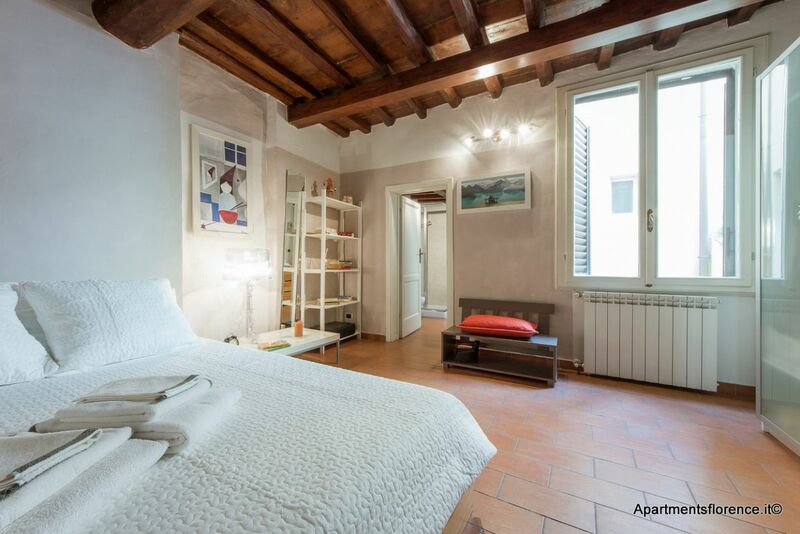 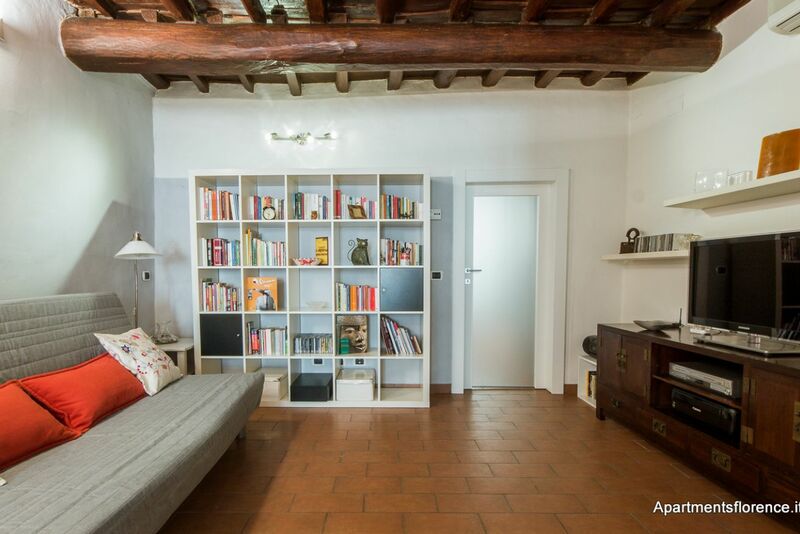 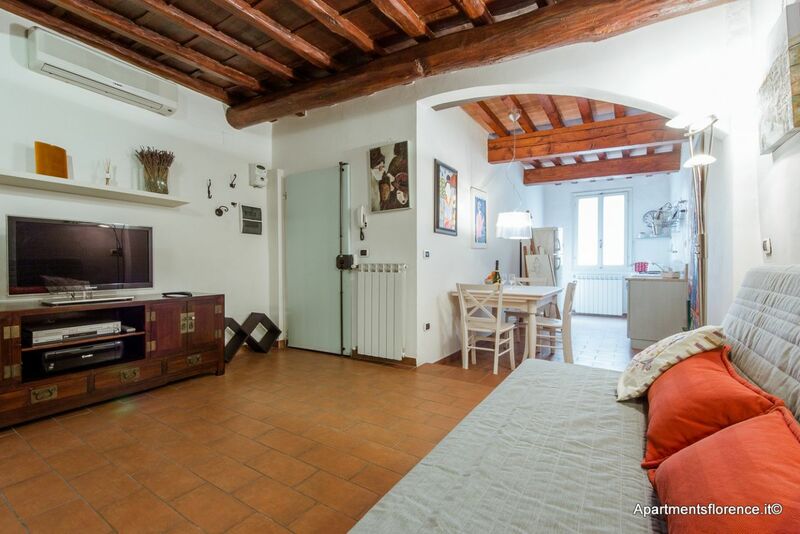 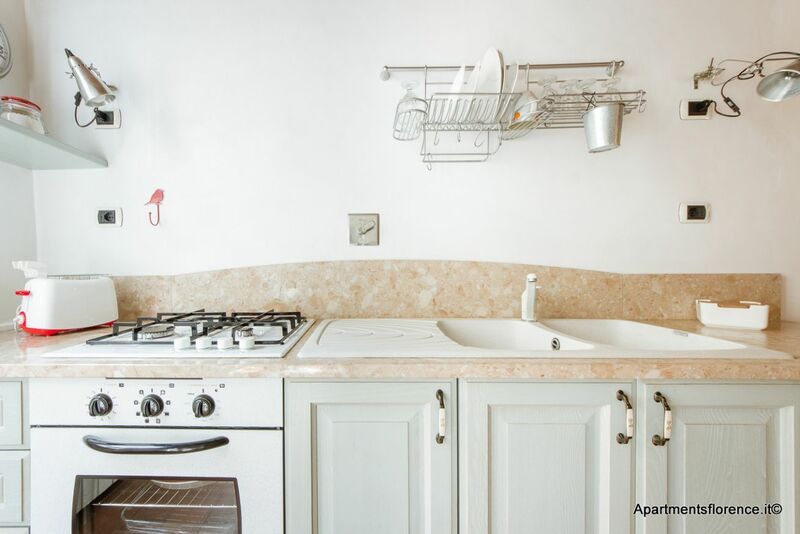 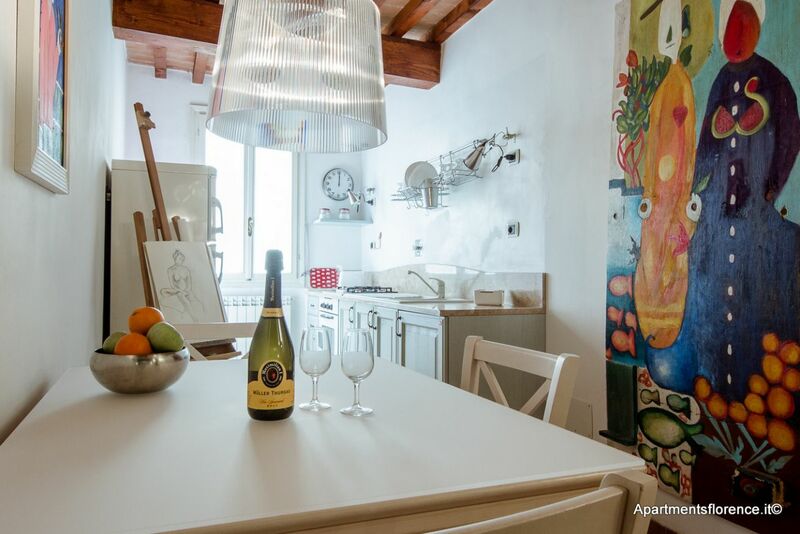 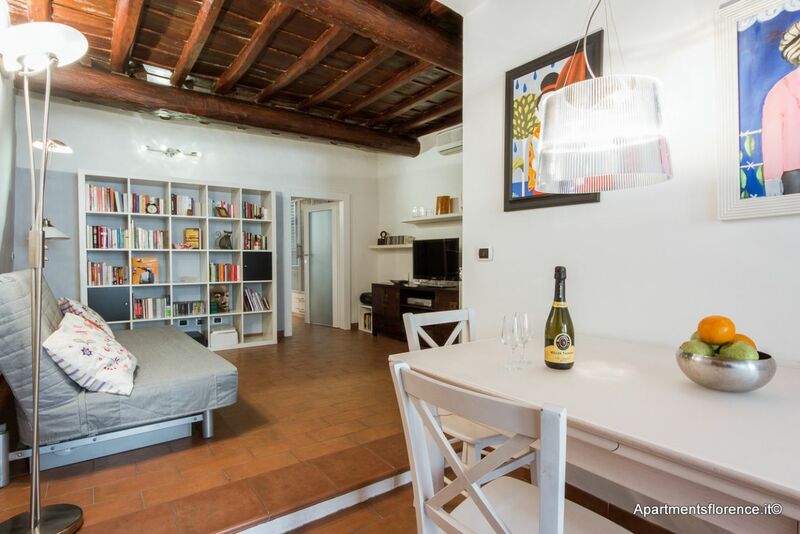 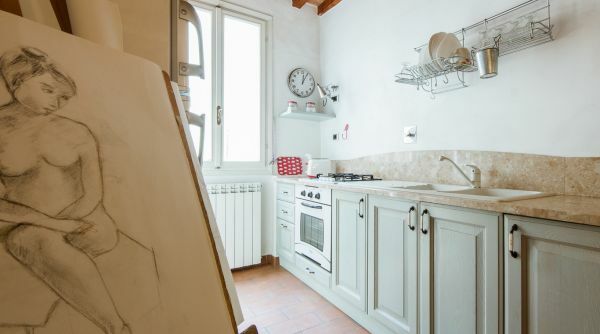 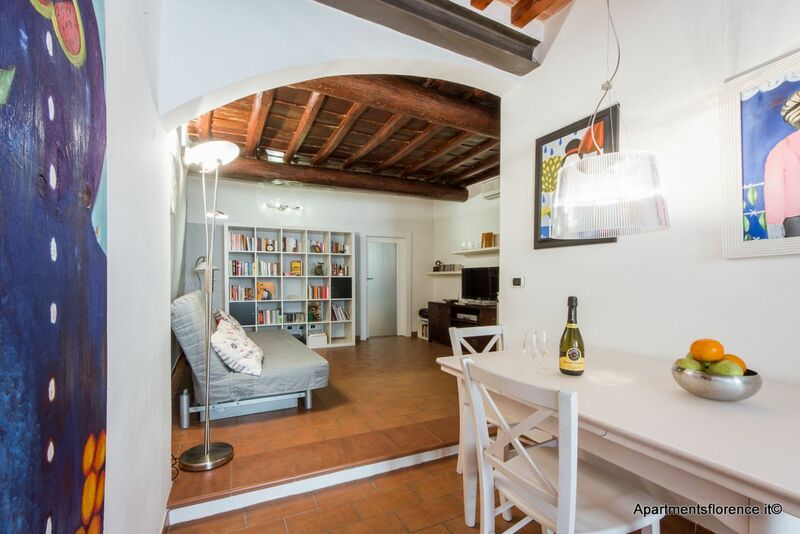 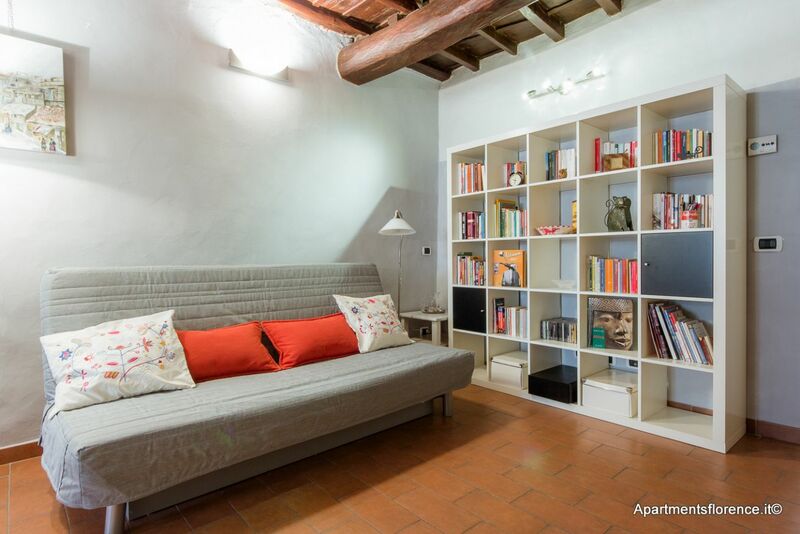 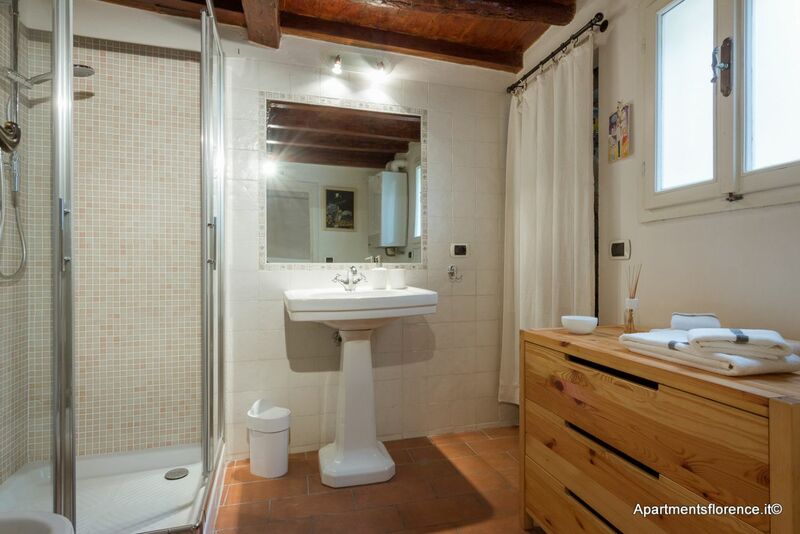 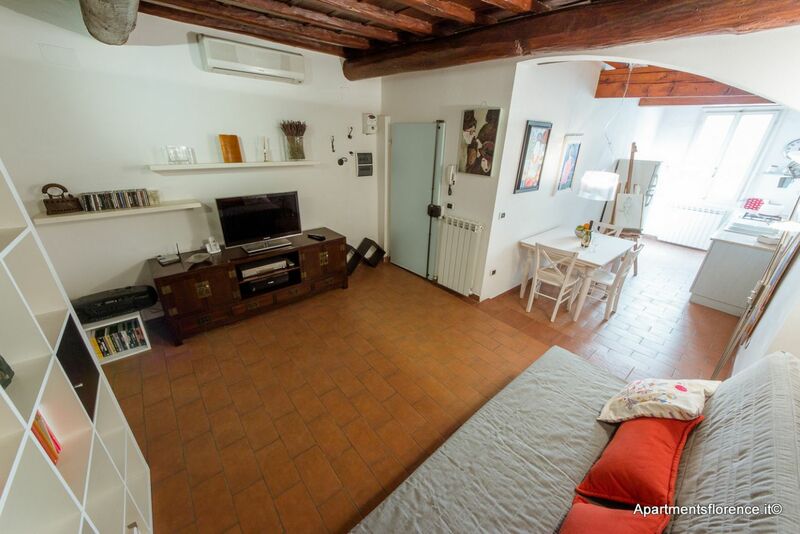 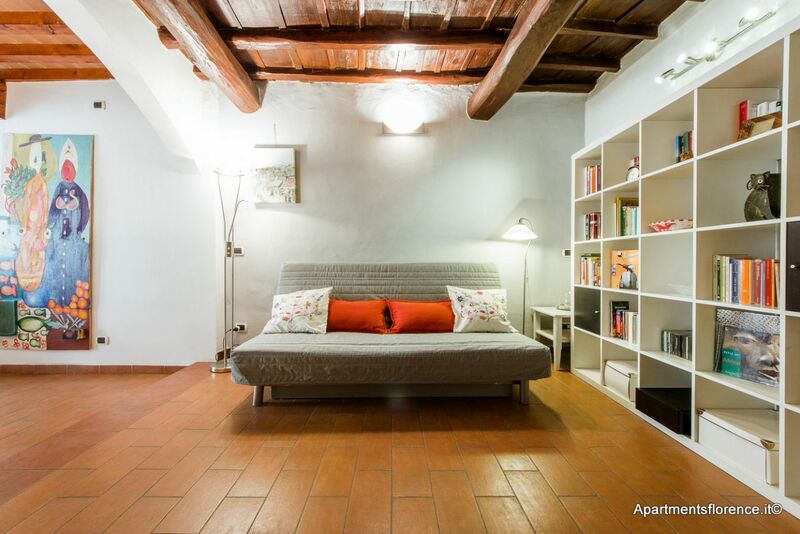 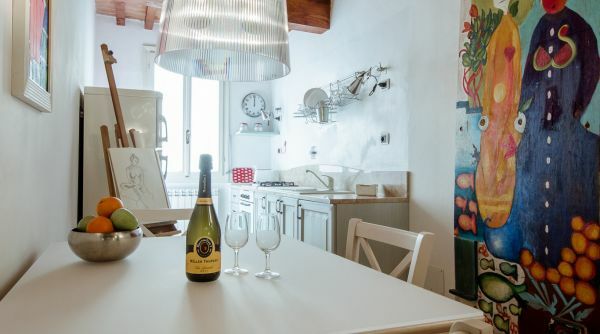 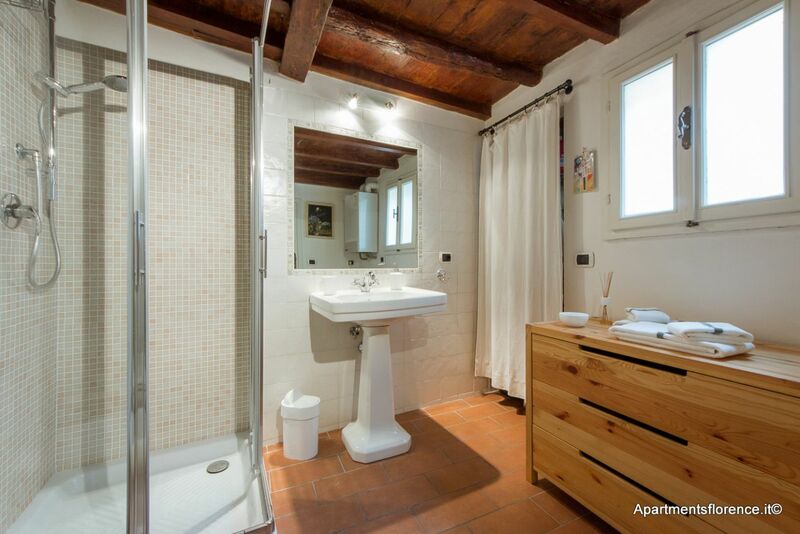 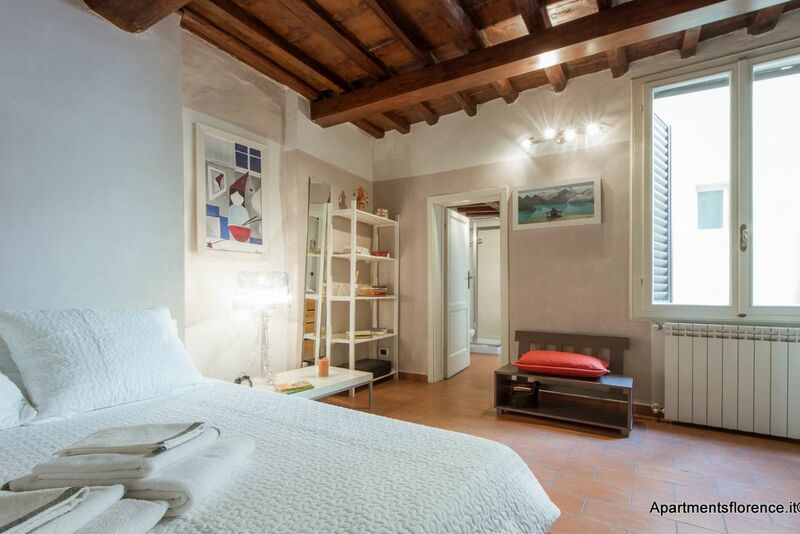 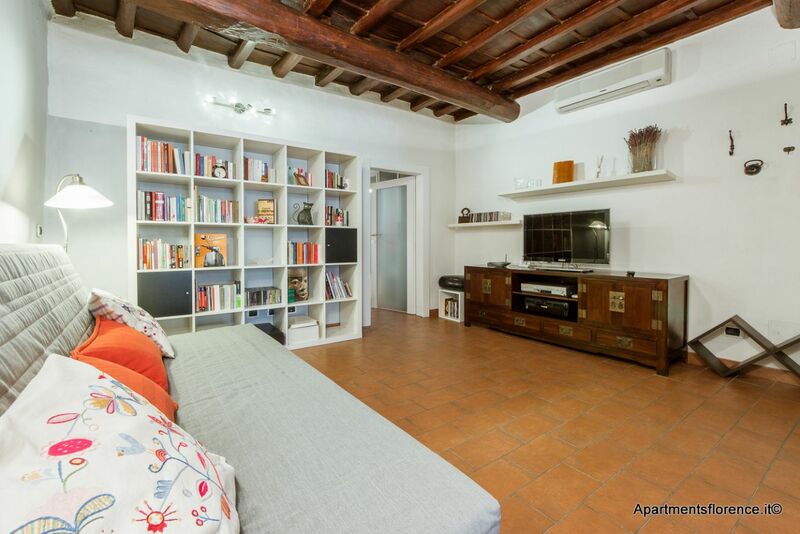 This apartment is located on the third floor of an historic building located in Via Toscanella, a quiet secondary street just off Piazza Pitti, a few steps away from Ponte Vecchio. 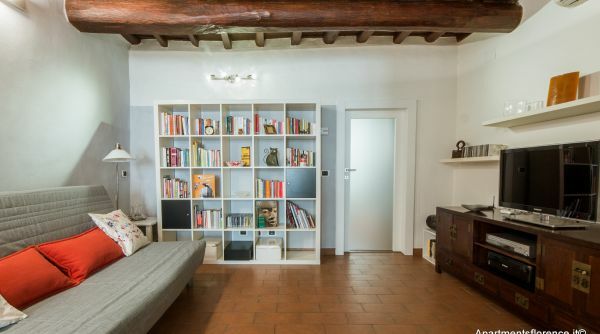 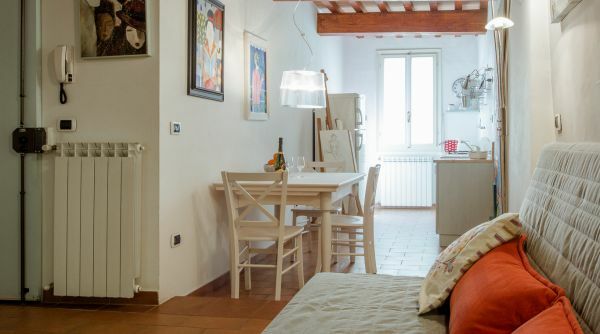 The whole place has just been restored according to Tuscan tradition, with particular attention in maintaining the rustic details, such as exposed wooden beams and original terracotta flooring, combined with an elegant and unique interior design. 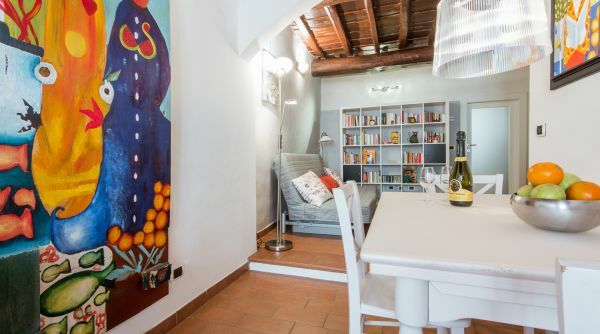 Colorful details such as original paintings create a cheerful and welcoming atmosphere throughout. 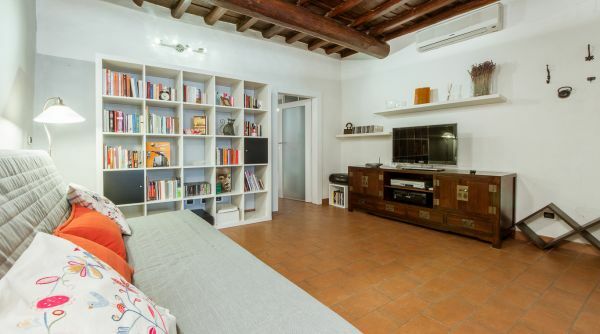 The spacious and cozy open space living area consists of a large living room, equipped with a comfortable double sofa bed, flat screen TV and library, and a bright and functional kitchen fully equipped with anything you may need to cook your own meals and a nice wooden dining table. 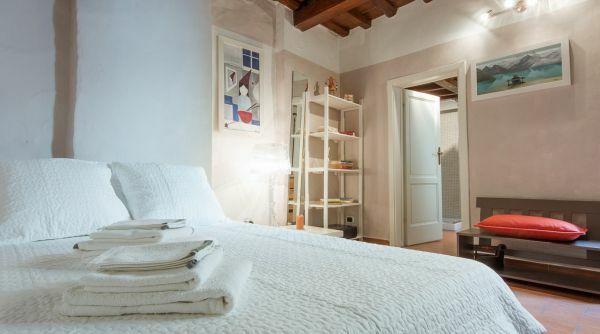 Natural light truly lights up the spacious master bedroom, featuring queen size bed, night tables, library and closet, as well as its private en suite bathroom with walk in shower and laundry facilities. 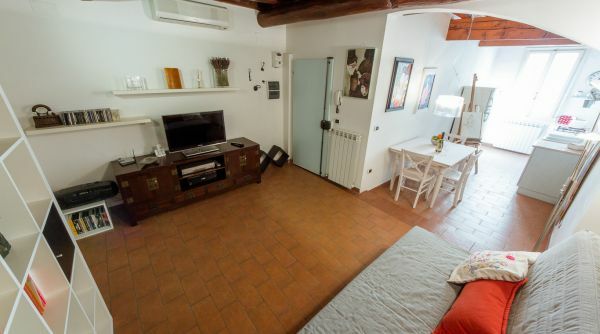 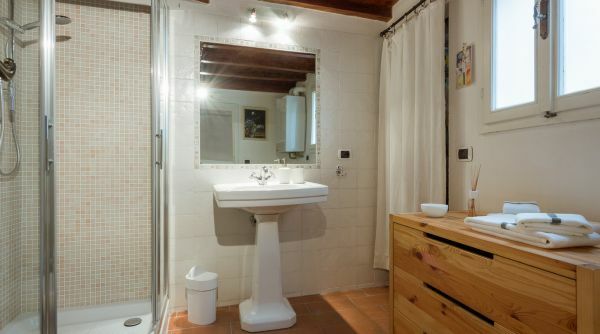 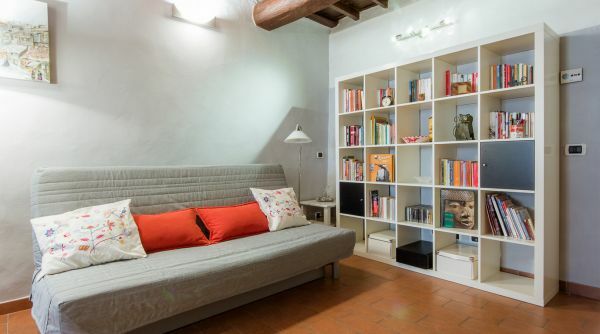 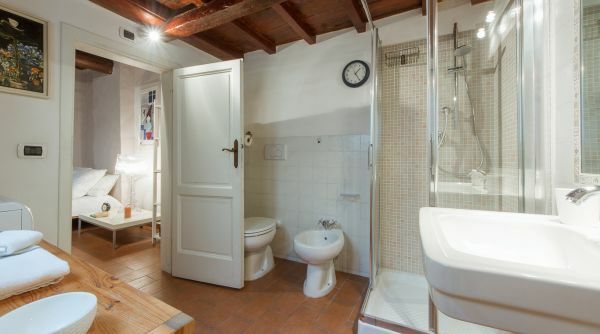 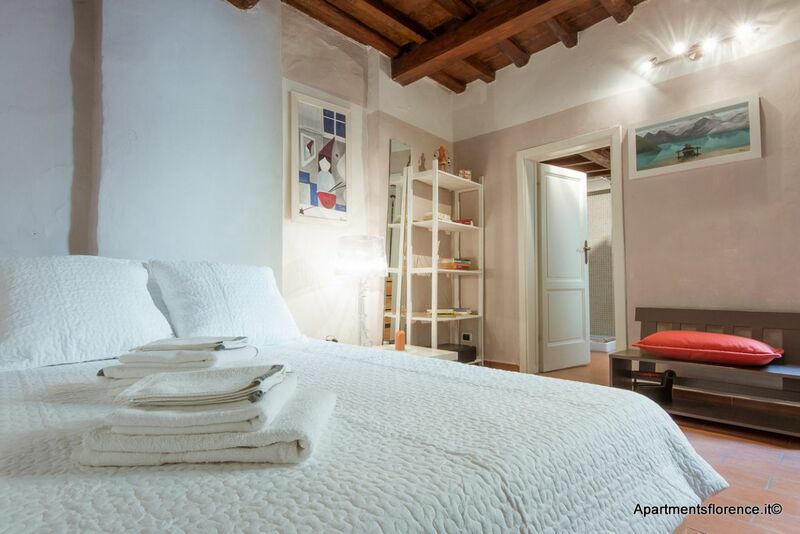 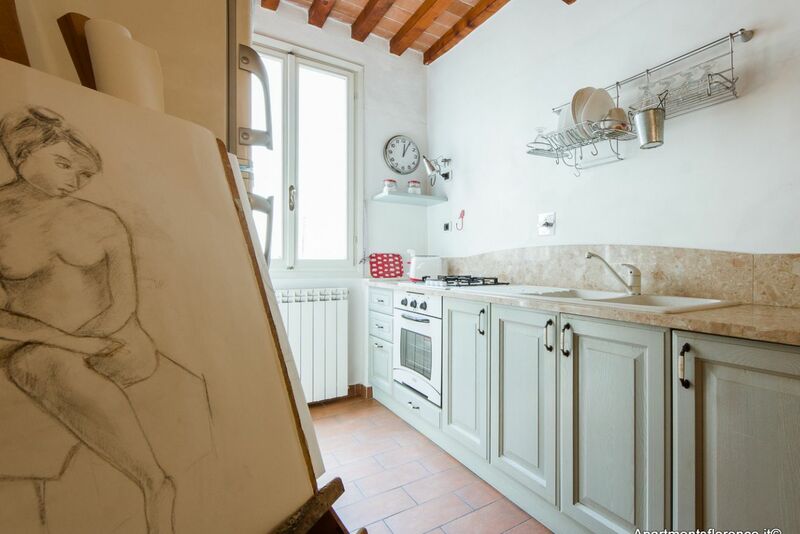 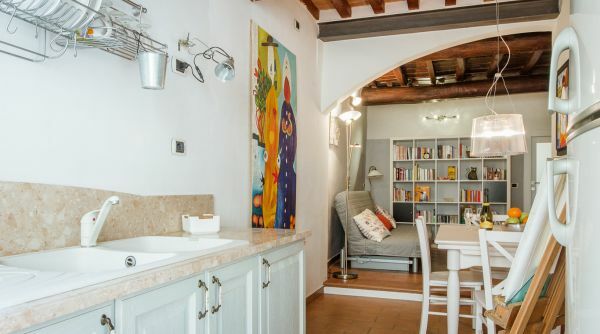 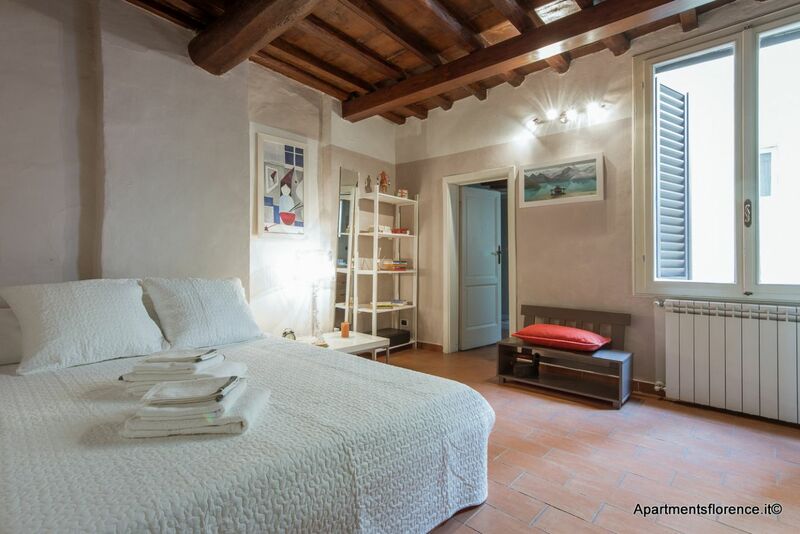 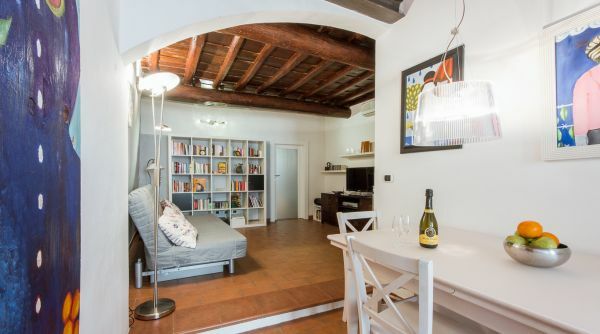 This apartment is the ideal starting point for those who wish to explore and experience Florence from various point of view, getting to know all its different neighborhoods while also experiencing the true and authentic Florentine atmosphere. 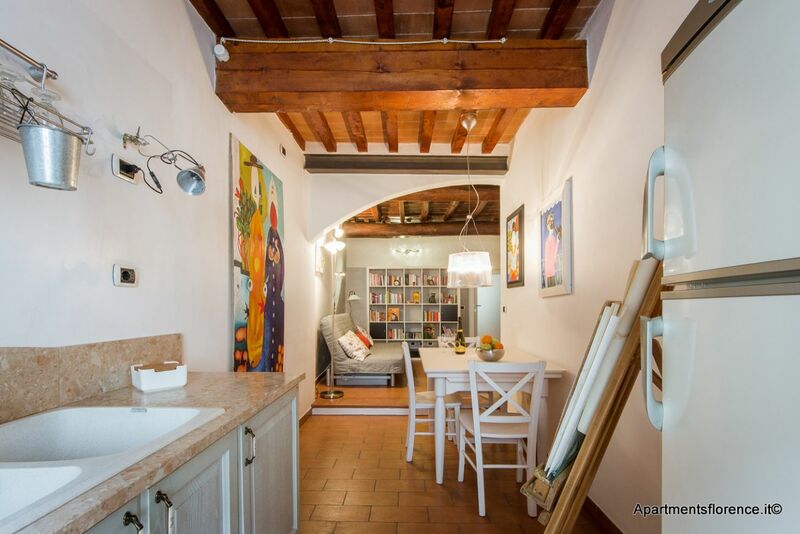 The Oltrarno area is one of the most typical neighborhoods in the city, where the true Florentines still live and thrive, outside from the main touristic tracks. 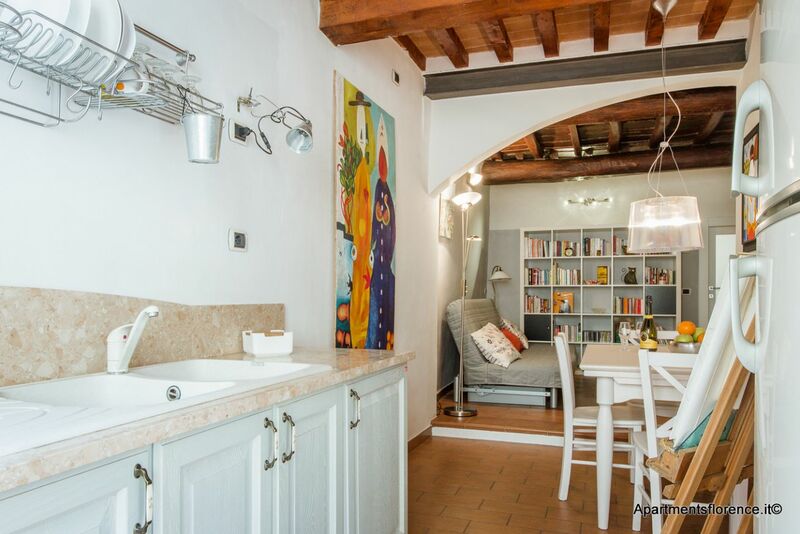 Piazza Santo Spirito and Borgo San Frediano are the most typical and lively areas of the Oltrarno, filled with restaurants, cafès, workshops, daily markets and live music clubs. 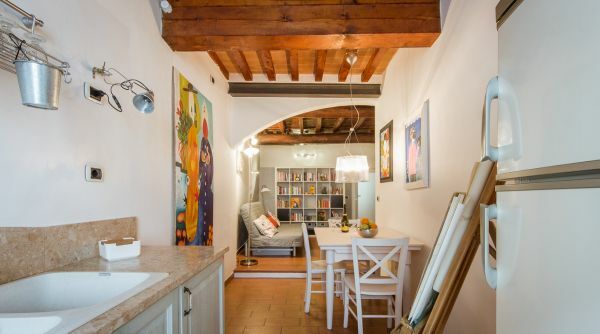 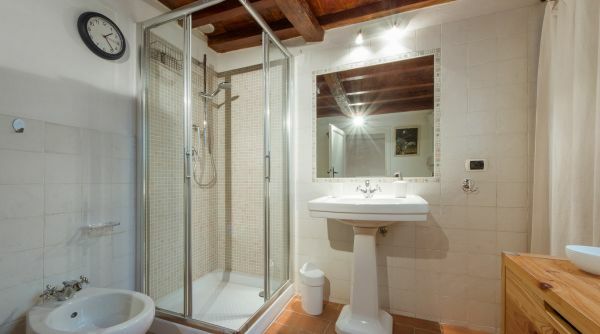 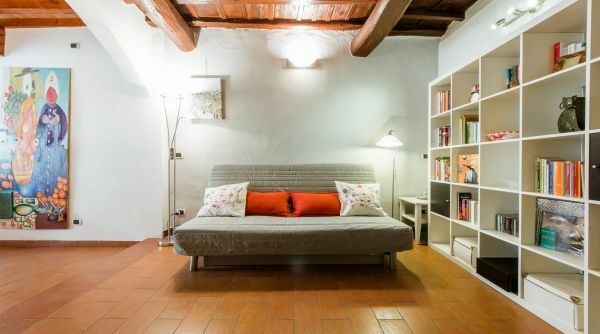 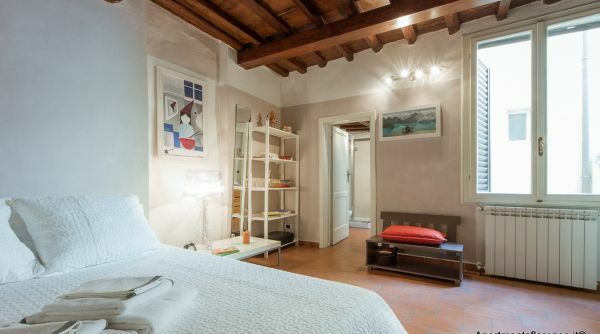 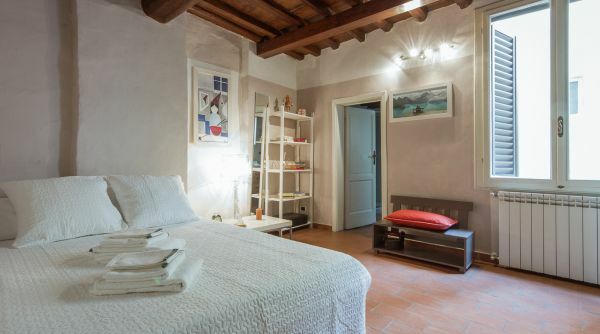 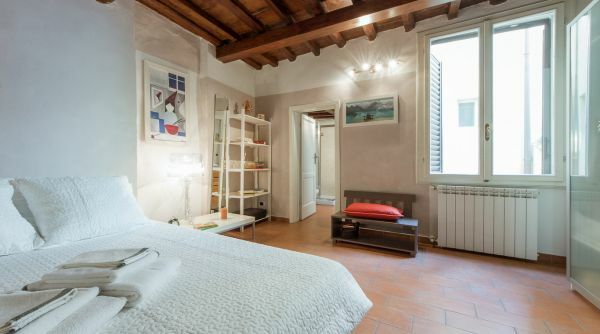 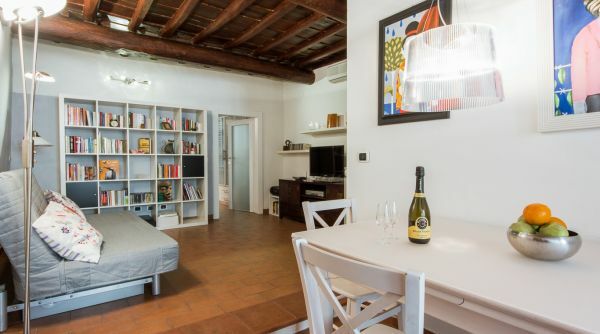 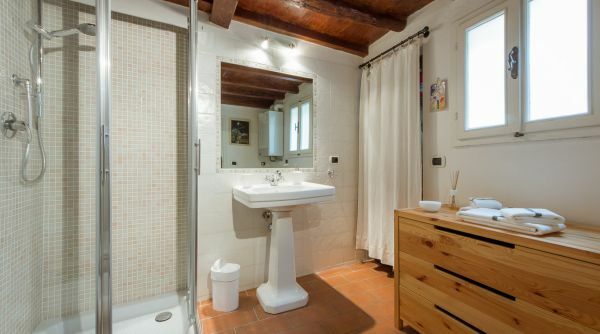 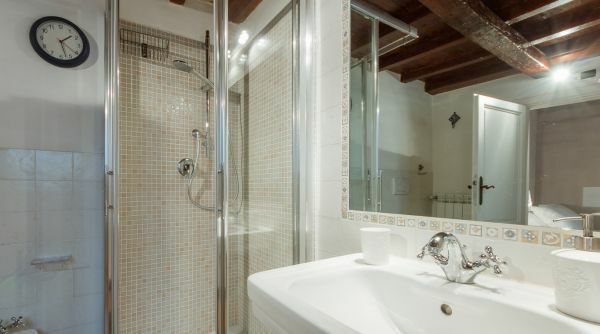 Choosing this apartment you'll get the chance to stay in the heart of the old authentic Florence while also being so very close to all the main attractions and museums: Ponte Vecchio, Palazzo Pitti, Santa Croce, the Duomo and the Uffizi Gallery are all just a short walk away!